How Much “Dose” Do You Need? “Dose” isn’t the most difficult health word out there, but — generally speaking — it’s not one of our favorites. We won’t tell you to completely strike it from your vocabulary, but we will urge you to proceed with caution. Why? Often, “dose” can sound too clinical and abstract. Make a list of all the medicines you take, including how much you take and when you take each one. The amount of medicine you need depends on how much you weigh. Sometimes, you may be able to specify a quantity instead. If 1 aspirin doesn’t make you feel better, it’s okay to take 2. 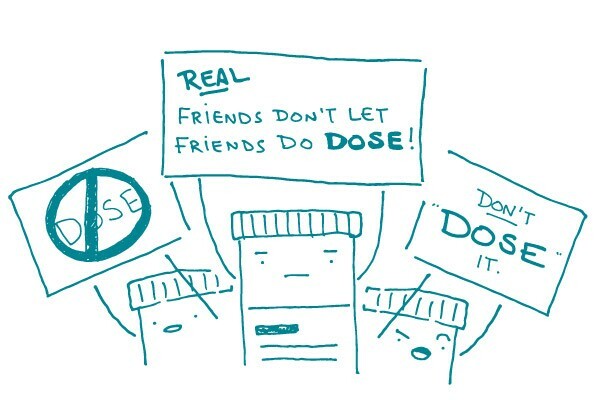 The bottom line: Keep in mind that “dose” is a clinical word. Our prescription: Use only as needed.